Water supply will be limited to 18 hours from today, as the demand for water has increased due to the drought in the country, National Water Supply and Drainage Board (NWS&DB) sources said yesterday.The NWSDB has informed the public to save water for a period of one and half days daily, when the supply is available. “There is not enough water in our supply water tanks. 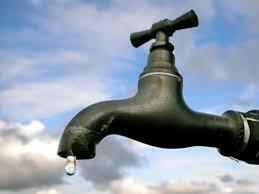 The water supply to Kataragama has been discontinued for the past three days. Badulla and Mawanella were badly affected. However, we managed to ensure the water supply intermittently to the Mahara and Biyagama areas.” a Water Board official told the Daily News. “We are unsure until when this situation would prevail. However, we inform the public to use water with care and to save water for later use whenever the supply is available”, he added.